in association with Bristol Drains Ltd.
Hudson Plumbing and Heating Services Ltd and Bristol Drains Ltd was established in Bristol in 2000 and formed by the current Directors, who have a pedigree in Mechanical Engineering. Steady growth has been achieved through fundamental business principles of determination, technical expertise and ultimately, customer satisfaction. Our Head Office is located in the Southern area of Bristol from where we provide a full range of plumbing & heating services including natural gas, LPG, oil boiler repair, installation and servicing to complete bathroom solutions including wet rooms and disabled adaptations. All installations are designed and installed to the latest regulations, British Standards and Manufacturers recommendations to ensure an efficient and quality installation. Hudson Plumbing & Heating Services are approved installers for market leading Worcester Bosch Boilers, which enables us to offer longer warranties than standard. 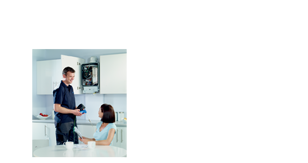 We can also supply & install other manufactures of domestic and light commercial boilers.